The new book on curriculum integration has come out of a TLRI project. 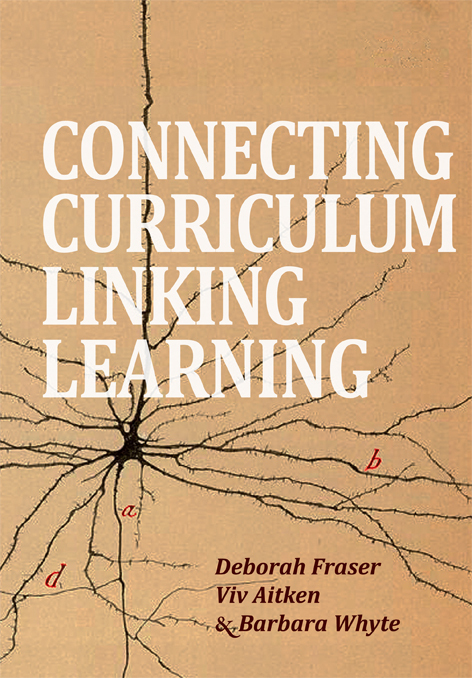 Connecting Curriculum, Linking Learning by Deborah Fraser, Viv Aitken and Barbara Wyte from the University of Waikato is published by NZCER Press. Dr Fraser and Barbara Wyte won a Ministry of Education contract in 1998 to investigate curriculum integration and were able to further the research through TLRI funding. Dr Fraser carried out a project on learning and teaching in the arts and then went on to lead another TLRI project on connecting curriculum, eventually developing it into the book. Documents for the Expressions of interest (EOI) are now available from the Apply for Funding-How to Apply pages. Funding is given across two category types and must be aligned with the principles and aims of the TLRI. A major new project that seeks to improve tertiary education outcomes for mathematics learners has been jointly funded by the Teaching and Learning Research Initiative (TLRI) and Ako Aotearoa, the National Centre for Tertiary Teaching Excellence. A team of eight researchers and 10 mathematicians, led by Professor Bill Barton and Dr Judy Paterson at The University of Auckland, has been awarded $276,900 over the next two years to explore how to enhance the graduate attributes of mathematics graduates. The first Teaching and Learning Research Initiative (TLRI) Request for Proposals (RFP) in the field of early years has been won by a team led by Associate Professor Valerie Podmore from the Faculty of Education at The University of Auckland. The Teaching and Learning Research Initiative (TLRI) has allocated funding to six projects in its 2012 funding round. The fund aims to build knowledge about teaching and learning that will lead to significantly improved outcomes for learners. Expressions of interest for the 2012 funding round closed in May. A selection panel drew up a shortlist of applicants, who then submitted a full proposal. The fund is open to the early childhood, school and post-school sectors. Over the past two years the TLRI advisory board has commissioned a series of reviews looking at the contribution of the TLRI to knowledge building about teaching and learning. Previous reviews have looked at research in the early years and in the tertiary sector. We asked TLRI selector Josie Roberts for her impressions of the key strengths and weaknesses across this year’s Expressions of Interest (EOIs). The University of Waikato invites classroom teachers and senior management to a seminar to explore how change in the way health and physical education (HPE) is conceptualised can support both teachers and children to have positive and meaningful experiences in the HPE learning area and across the curriculum. One TLRI project has created its own website to help spread its ideas about the teaching of algebra. The Teaching and Learning Research Initiative (TLRI) and Ako Aotearoa are jointly funding a Request for Proposal (RFP) in the tertiary sector. Proposals are being sought now, with applications open until Friday 5 October 2012.